A standup comic tells the story of his mother’s first days using Facebook when she commented “LOL” on someone’s Facebook status announcing the death of her aunt. “Why’d you do that mom,” the standup comic exclaimed. “Because I wanted to send her ‘lots of love,'” his mother said. 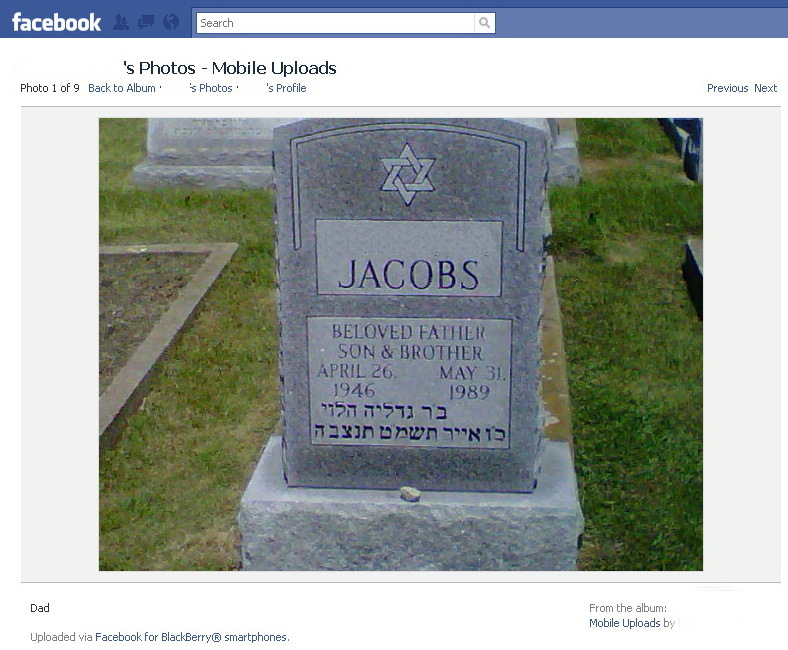 Now that was just a joke, but there really are a lot of Facebook etiquette rules being broken when it comes to death. How does Facebook handle death and how do we handle death on Facebook? With over 1.3 billion users on Facebook today, it’s become commonplace for grieving people to announce the death of a loved one in a status update. It’s also become increasingly common for people to click Facebook’s “Like” option in response to the death announcement. Is this a faux pas or a way to express condolences in the era of social networking? Another questionable Facebook mistake is when a deceased individual’s Facebook profile has been left on the site and individuals erroneously post a “Happy Birthday” message on the deceased’s Facebook Wall. Oops! These are just some of the new things we’re all getting used to in the Facebook era. We are all trying to make sense out of how to deal with death when it comes to Web 2.0. Here are some questions that arise with regard to social networking when a loved one dies. What can Facebook teach us about grief? Clearly, young people are using social media sites like Facebook as an outlet for their grief. Facebook is a community populated by one’s friends in which those grieving can express themselves without censoring one’s emotions. Many people who were not comfortable talking about personal matters like grief and mourning feel comfortable sharing a few words on the computer to their network of linked friends. What is the etiquette for announcing a death on Facebook? Over the past couple of years, I have seen an increasing number of deaths announced through status updates on Facebook. When someone hears of a person’s passing and immediately updates his status by expressing his grief, the modern form of the condolence book has been set up. Others are now free to comment on that status update by offering their condolences to the bereaved, sharing a memory of the deceased, or expressing their own grief about the loss. Certain questions arise before announcing to the Facebook community through a status update that someone has died. Perhaps the immediate family wants to make this announcement itself? Perhaps the survivors want to wait until certain decisions are made before informing the public (e.g., funeral arrangements)? If the death was tragic or unexpected, the delicate wording of the “announcement” is critical. 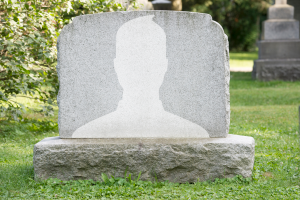 What is the status of the deceased’s Facebook page? Kelly’s explanation of how to put a deceased loved one’s Facebook page in the special category generated a lot of attention. To date, there are over 2,300 comments on his post. Assuming that a family chooses to not put its deceased loved one into the Facebook memorial vault, what is the etiquette with regard to the ongoing maintenance of the deceased Facebook page? Should a family member gain access and manage the page? After all, what if someone posts a comment on the deceased’s Facebook that the family wants removed? About a year after my uncle’s death, my cousin logged into his father’s Facebook account and accepted the “friend requests” that my uncle wasn’t able to accept in his final week’s on this earth. You can imagine the surprise (if that’s what it was) that some people felt when they were told that they were now “friends” on Facebook with a man who passed away a year prior. Maybe the ‘memorializing’ of profiles is the best policy after all? And there’s an expert available who can help families create a Facebook obituary. R. Brian Burkhardt is “Your Funeral Guy” and his website describes the steps toward creating a Facebook Memorial. Should we set up a Facebook page for the deceased? As soon as a person dies (especially a young person), there is often a race to create the Facebook page in their memory. This can serve as a place to direct the community’s grief through sharing memories, posting photos, and disseminating information about memorial services, donations, etc. Before creating a Facebook page in memory of a loved one, it is important to check to ensure that there is not already one created. The administration of the page is also important to ensure that no inappropriate comments or photos are posted. Can visiting a shivah homepage be a substitute for visiting a shivah house? No doubt, a new etiquette will form for offering condolences to mourners in the social networking age. Until there becomes an agreed upon protocol, however, common decorum should serve as the guide. When a mourner announces the death of a loved one in a Facebook status update, it is appropriate to offer condolences as a comment to the status update or as a wall post. Traditional forms of consolation toward the mourner should then follow, whatever one’s faith dictates (attendance at the funeral if possible, a tribute in the deceased’s memory to a charity, condolence call, etc.). As I am writing this post, I logged into my Facebook account and saw that a friend had posted a photo of his father’s tombstone since today is his father’s yahrzeit (anniversary of the Jewish date of death). I hadn’t known that he lost his father (almost eleven years ago according to the date on the memorial stone) and neither did several of his other friends on Facebook according to their comments to the photo. This photo, simply captioned “Dad,” allows his friends to share their condolences on his father’s yahrzeit. No one has clicked the “Like” option for the photo. At least not yet! ‹ Will a Torah Go to the Moon on a Google Spacecraft?